Notes and Nerds: Could The New Fantastic Four Remake Be Just Another Fantastic Flop? Could The New Fantastic Four Remake Be Just Another Fantastic Flop? With the new 2015 The Fantastic Four remake coming, were look back at the Fantastic and not so Fantastic Four adaptations. The Fantastic Four is a fictional superhero team appearing in comic books published by Marvel Comics. Created by Stan Lee and Jack Kirby. The Fantastic Four comic has ran from 1961 up to present in different adaptation. 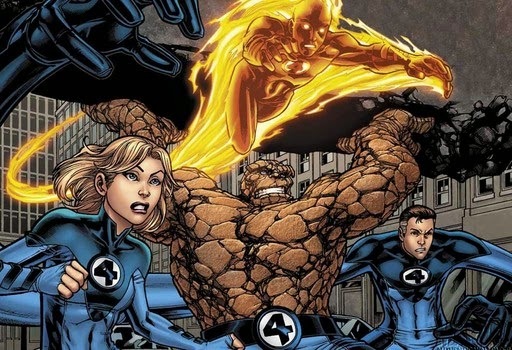 Fantastic Four, who gained superpowers after exposure to cosmic rays are: Mister Fantastic (Reed Richards), The Invisible Woman (Susan "Sue" Storm), The Human Torch (Johnny Storm), and The Thing (Ben Grimm). The Fantastic Four was first animated for television by Hanna-Barbera in 1967 -1970, The second Fantastic Four series produced by DePatie-Frelenga and ran in 1978. The third Fantastic Four was a part of the The Marvel Action Hour umbrella and ran from 1994 - 1996. The fourth series, Fantastic Four: World's Greatest Heroes, aired 2006 on Cartoon Network. The first film adaptation of The Fantastic Four was completed in 1994 by producer Roger Corman. The film was not released to theaters or home video. In 2005, Fantastic Four directed by Tim Story was released. The sequel Fantastic Four: Rise of the Silver Surfer, was released 2007. A reboot directed by Josh Trank is to be released on June 19, 2015 and A sequel to be released on July 14, 2017. Fantastic Four is one of those things that if you put to much or not enough in to it, it just doesn't work.